With Ana dropping down to sub, OG picks up veteran carry Pajkatt to take his place. After Anathan ‘Ana’ Pham shocked the Dota 2 world by announcing that he was stepping down from the active roster of OG for this season only a few months after winning TI8, OG have announced that Pers 'Pajkatt' Olsson will be the new carry player for the European side. OG teased fans in a memetic style on their Twitter page as to who the new player might be. Some of them even managed to guess right before the official announcement was made. OG has a long history of bringing in young inexperienced players with the likes of Miracle-, Ana and Topson all making their names with the organization. 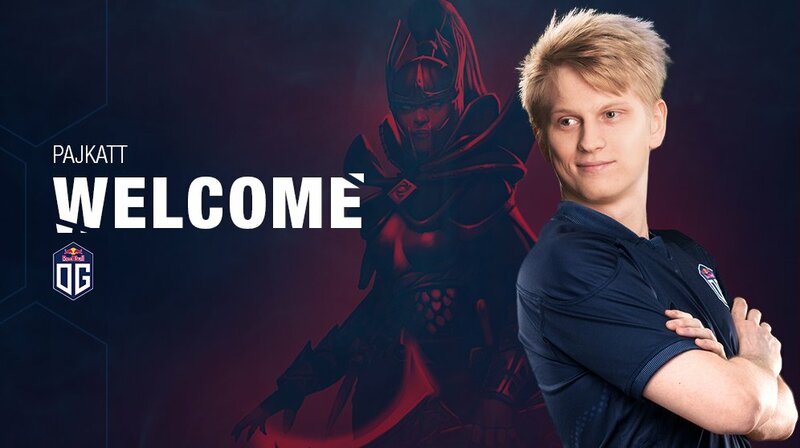 However, this time they have opted for experience and stability by signing the Swedish carry player formerly of LGD.Int, Na’vi and most recently Optic Gaming, where he secured a top 8 finish at TI8. Pajkatt has experience playing with current OG offlaner Sebastien 'Ceb' Debs on Alliance back in 2015 where the team struggled in TI qualifiers and subsequently failed to make it to TI5. However, with both players revitalizing their playing careers over the last year, it could be a different story this time around. You can see the new OG squad in action tomorrow when they face Alliance in the first game of the European regional qualifiers of The Chongqing Major. Will OG make it through to the major? Yes, Pajkatt is a strong addition. No, they needed a different carry player.